Cellulite and exercise? Meh. 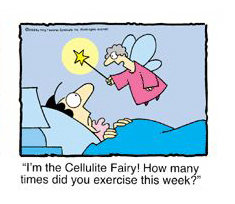 How many times this week did you pull out your handy little cellulite roller? How’s it working for you? Not much, I expect. Since the beginning of time, women have been using plungers, creams, gadgets, rubber mallets, wraps, massage and even radio frequency to get rid of that pesky cottage cheese know as cellulite. News flash – these products do not work. You may see temporary improvement, but until now, there was nothing that did the job. Cellulaze, distributed by a company called Cynosure, is the only minimally invasive laser procedure designed to reduce cellulite beneath the skin. It delivers longer-lasting results after only one short treatment and offers you the best results if you are not significantly overweight but have mild to moderate cellulite. Check out our new video – Melissa is thrilled with the results. Do you have a cellulite question or comment? Tell me about it below. Do you have any update from Melissa? Are the results permanent? I’ve found many reviews here but most of them are mixed.. i am seriously considering Cellulaze, but i want to be sure before i decide on it! ← Roos, Crocs and Plastic Surgery – Oh My!